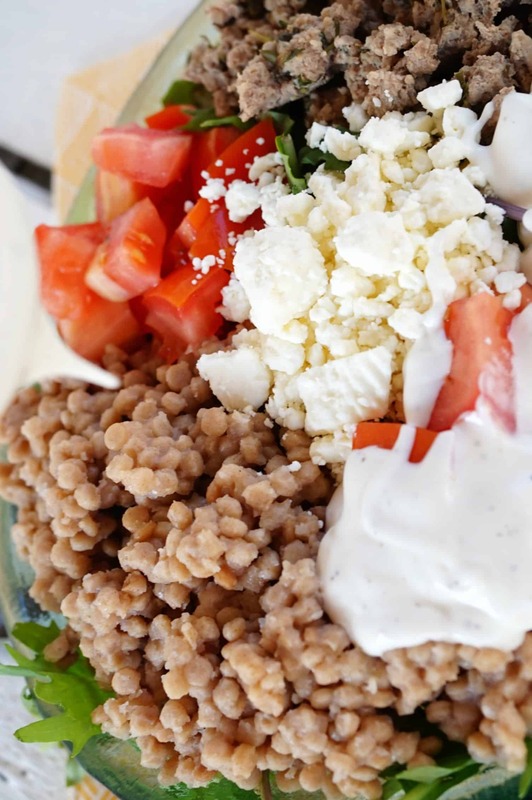 Dine like the Grecians with this Mediterranean Buddha Bowl! Hands down, one of the MUST SEE places on my bucket list is Greece! I’ve been obsessed with the Mediterranean Coast ever since I was in college at San Diego State and worked with the loveliest Grecian woman, Eris. She had the coolest accent, was the sweetest person and had the best stories to tell about her childhood in Greece. Bonus, she made the best tzatziki sauce I’ve ever had! 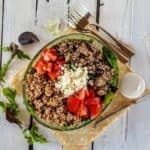 Though I may be a month behind (June was technically Mediterranean Diet Month), it’s always a good time to chat about this dietary pattern and just why it gets the praises it does. Plus, the heart healthy fats and emphasis on fruits, vegetables and whole grains is something that everyone can benefit from, especially those struggling with infertility. 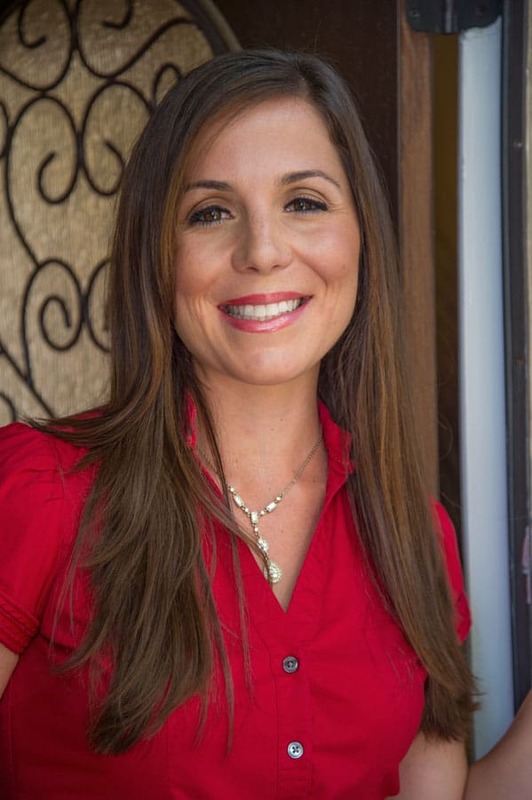 Food and Nutrition Magazine’s blog, Stone Soup, had a great piece on the Mediterranean Diet last week written by Rachael Hartley, RD, LD, CDE, CLT of Avocado a Day Nutrition. If you get a chance, I definitely recommend checking it out! 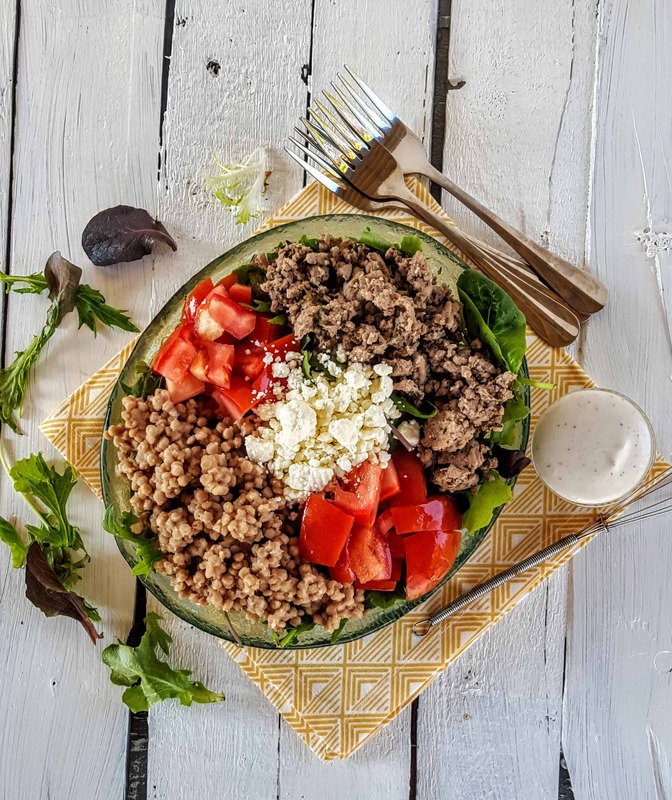 But, I know you’re tight on time, so here’s the 4-1-1 on the Mediterranean Diet and just why this Mediterranean Buddha Bowl should be on your menu this week! Now, let’s put this in perspective shall we? This “diet” is not asking us to take away anything, is it? NO! You’re allowed to eat those lean red meats on occasion, you’re encouraged to eat meals with family and friends, experiment in the kitchen and really let those flavor profiles explode on your taste buds! The beauty of this diet is that it relates so wonderfully to the key points that have been identified in fueling fertility. The Nurses Health Study continues to point us in the direction that plant based, high fiber, whole foods are the most successful when trying to achieve conception. Again, I want to point out this isn’t a magic pill (plants won’t actually make a baby, we know there’s more involved than that! ), but eating in this fashion will help promote a healthy, internal flow that will absolutely help improve your odds of getting pregnant. Plus, I don’t know about you, but when I eat better, I feel better emotionally. Happy people are less stressed, more energized and able to handle what curves are thrown at them, wouldn’t you agree? Alright, now time for this beauty! As you can see, I opted to include a little lean ground turkey in here! But, you most certainly can sub that for a nice lentil or bean mix. The possibilities are endless! I also topped this off with a nice homemade feta dressing! Yep, that beauty I was raving about on Instagram is finally here! Grab a fork and dive in with me! 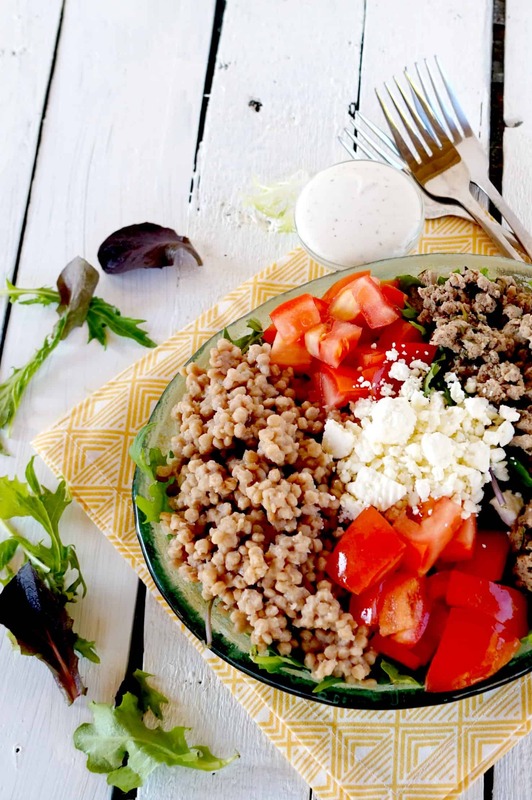 Taste Greece with this Mediterranean Buddha Bowl! It's light, filling and totally delicious, what more could you ask for?! In a large bowl, mix spring mix, olive oil, basil, and oregano. Set aside 4 bowls or plates and place 1/4 portion of salad mix into each unit. 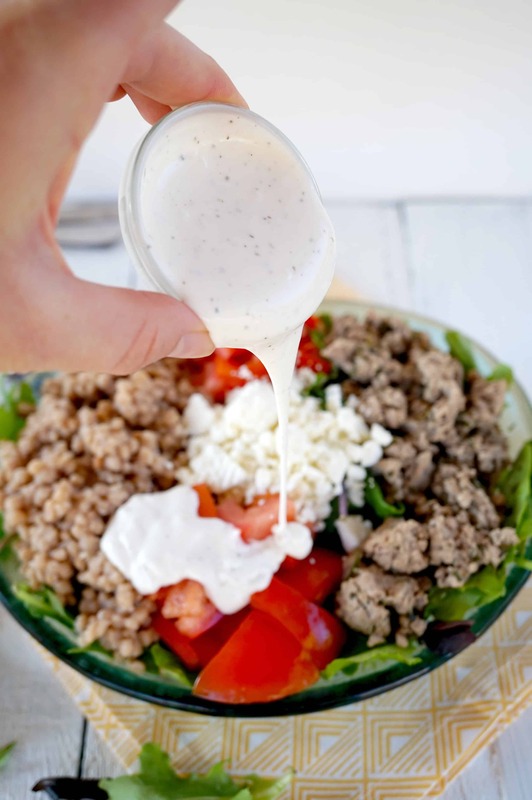 Top each with 1/2 cup chopped tomatoes, 1/2 cup cooked couscous and 2 oz of lean turkey or protein of choice. In a small bowl, combine yogurt, feta, vinegar and spices. Mix thoroughly and top each salad with 1/4 cup of dressing. For those interested in a different twist on the Mediterranean classics, I highly recommend Sara’s Chickpea Salad with Tahini Dressing! It’s hands down a favorite over here in the Shaw Kitchen, I know it’ll be a winner in yours too! « DIY Greenhouse – How to Grow Your Own Garden! Yum!!! Of all the “diets” the Mediterranean Eating Plan is one I can totally get behind. Greece is on my travel #bucketlist too, and since I LOVE Greek food so much, I seriously think I might have a little Greek ethnicity in me. Since I’m adopted I don’t know my ethnic background, but am thinking I need to do one of those genetic ancestry tests 🙂 Can’t wait to make your Buddha Bowl!! Love the Mediterranean diet and i hope you get to Greece – it’s amazing and I know you’lll love it! 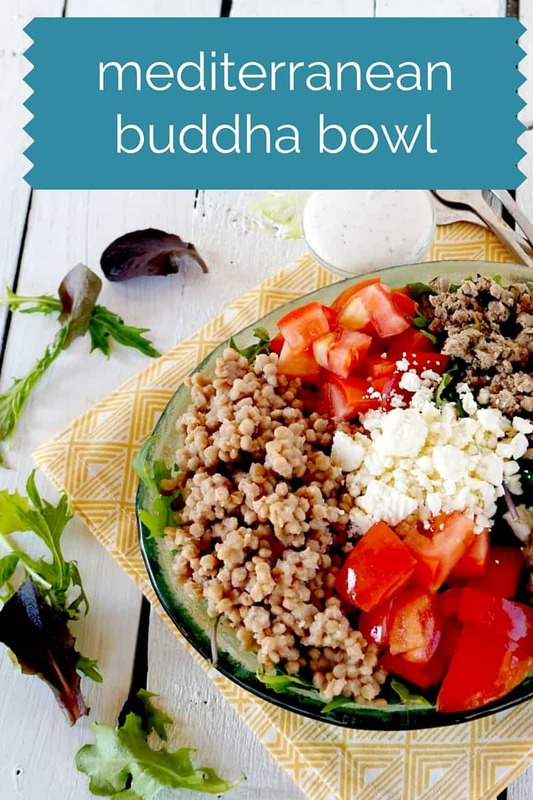 This Buddha Bowl looks awesome! !